Join one of the fastest growing integrative health organizations in the world! The Institute supports and promotes the credibiltiy and development of all integrative modalities. Are you worried that you've got too much stress in your life? How can you know what's healthy stress and what's too much? Today I want to share 4 simple signs to look out for in your life, and perhaps more important, share a video that will not only show you what you can do to lessen and eliminate the stress, but will also take you through a process to eliminate it right now. Earn your Advanced Certified Clinical Hypnotherapist (ACCH) professional certification by completing our Advanced Neuro-Noetic Hypnosis Certification Program. Also, if you are a Licensed Professional Counselor and need continuing education for your NBCC NCC (or other NBCC certifications), you may earn up to 84 NBCC CE Clock Hours through this program. CE Clock Hours are incrementally awarded each time that you complete one of the 12 ANNH courses. Courses are taught on line in Distance Learning format. You may complete lessons at your convenience within six months of applying for a particular course. This program is flexible. Therefore, you may easily delay taking subsequent courses if your professional schedule dictates that you need to pause your progress between courses. A few years ago I twisted my knee and tore my meniscus. After months of pain I finally submitted to surgery. Since then I've read that surgery is no more effective than physical therapy in the long run. But it was the pain that drove me under the knife. If I'd known then what I know now about EFT/Tapping's incredible ability to heal pain I wouldn't have spent hundreds (my deductible only – the actual operation cost our insurance thousands of dollars) on a barbaric way to heal an injury. Physical pain affects all of us. The lucky ones just have an occasional headache, smashed thumb or skinned knees. Others have lives that are totally ruled by pain – affecting how they live life. Are you someone who grapples with debilitating pain every day of your life? What if you could get rid of pain without the scary and addictive side effects of pain pills or monthly trips for steroid shots? This is not just a rhetorical question. Using EFT/Tapping, people are experiencing incredible breakthroughs in releasing pain. In some cases, pain that has been with them for years and years. So imagine – what would your life be like without overwhelming pain? Whether it's Fibromyalgia, Arthritis, Migraines, back pain, neck pain, headaches, knee pain or anything else that's bothering you physically. Sign up today and look forward to relief! A new method of studying with the Institute has arrived. IHRI Distance Learning courses may now be purchased on CD through www.timbrunson.com. The CD course comes with the same high quality content found in the online version, complete with each lesson video and demonstration text and audio. Tim Brunson, PhD, and Annie Brunson have created a new twenty module transformation program designed to install mastery-building techniques within the participant. The course is self-paced with one module released each Tuesday for the duration of the program. It includes exercises and demonstrations designed to progressively improve skills. While the intention is to teach how to quickly master anything, as the program progresses the student will steadily develop more and more abilities, which can then be applied to various aspects of their lives. Over the past several years many of our members and readers have asked if they could certify through the Institute. Although some time ago we announced a specialty certification and an advanced certification (Certication Programs), traditionally we did not offer any opportunity to formally recognize a basic hypnotherapy practitioner certification. We have always accepted all of the credentials provided to us by our members. Also, providing a full spectrum of certifications was not part of our original plan. However, we now are full engaged with the community of clinical hypnotherapists and integrative health care providers. We must listen to the needs being expressed. Therefore, it is now time for a change. 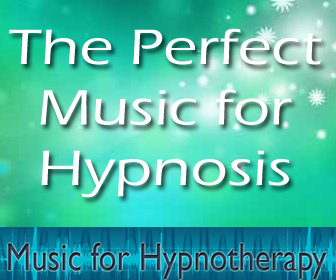 Starting on Tuesday, April 21, 2010, we will initiate a new program, which will formally accept clinical hypnotherapist certifications issued by reputable nationwide or international clinical hypnotherapy-oriented organizations and associations. This will constitute an official recognition of such accomplishment by our members. Approved applicants will be considered as Certified Clinical Hypnotherapists and authorized to use CCHt credentials after their name. This program is only available to Institute members. Others may join so that they can take advantage of the certification process. Existing members may apply for the CCHt credentials. The procedure is outlined on our certifications Web site. In August 2009, the International Hypnosis Research Institute announced the availability of two new certifications. These are the Mind/Body Integration and Advanced Neuro-Noetic HypnosisTM certifications. Both are currently available only in a distance learning format. They are designed to help integrative health care professionals improve their ability to enhance client and patient healing. These certifications and their individual courses are intended to appeal to a wide range of professionals. These include medical doctors, dentists, nurses, social workers, psychologists, hypnotherapists, counselors, chiropractors, massage therapists, and others. The Mind/Body Integration certification program covers theory that is based upon leading-edge research and provides participants with numerous demonstrations and exercises, which they are encouraged to begin using immediately. The intent is for students to appreciate the good evidence-based science foundation of the theories presented and quickly see results as techniques are applied to real cases. The program is based upon a realization that clinicians must have a high level of competence when communicating with the mind's of their patients. Therefore, this program relies on the most effective and proven ideas including direct suggestion, permissive methodologies, and advanced neurologically-based interventions. Even though the course is designed to accommodate experienced hypnotherapists, those with little or no experience with hypnosis and guided imagery will find how easy it is to apply the presented demonstrations. This certification includes 36 lessons organized in 4 courses. The Advanced Neuro-Noetic HypnosisTM certification builds upon the skills presented in the four Mind/Body Integration courses. The focus of this certification is on developing clinical competency in three major areas, which includes performance enhancement, resolving mental pathologies, and improving physical healing. This certification concentrates on the student mastering advanced theory and effectively applying the lessons learned in real-life therapeutic settings. The program moves from concept to application, which includes improving session design. The uniqueness of the curriculum is that it applies rather advanced neurological and mind/body integration concepts to everyday clinical situations. This certification includes a total of 78 lessons organized into 12 courses. 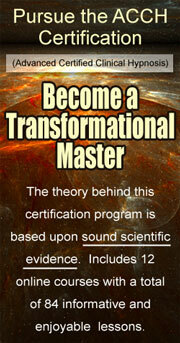 The 36 Mind/Body Integration courses are included in this program. Students who complete this program will receive both certifications. Certification candidates enroll in individual courses. Upon completion of each course they are informed of their progress toward final certifications. Institute members receive a 25% discount off of the tuition for each course. Additionally, renewing members who have free course eligibility may take individual certification courses at no charge. For more information, please visit Mind/Body Integration Certification Program and Advanced Neuro-Noetic HypnosisTM Certification. On Sunday, May 25, 2009, Dr. Tim Brunson will be offering The Neurology of Suggestion workshop for the first time. The workshop will occur between 2:00 and 5:45 p.m. at the annual conference of International Medical and Dental Hypotherapy Association in Daytona Beach, Florida. The power of suggestion to influence the structure of our brain and body rests largely on our ability to orchestrate our mind with the capabilities of our neural system. This enlightening and entertaining workshop will give dedicated hypnotherapists a "layman's guide" to how the brain functions and provide valuable insights as to how hypnosis can be best sequenced to get maximum results – while avoiding the most common mistakes. Based upon recent advances in neurology, neurofeedback, energy modalities, and ancient Eastern concepts, you will quickly and easily master revolutionary concepts and acquire new skills which may be immediately incorporated into your practice. Students will also be introduced to Advanced Neuro-Noetic HypnosisTM , which is a comprehensive program of techniques based upon these principles. Participants will receive follow-on access to valuable written, audio, and video materials which will continue their training in this field. For more information visit: International Medical and Dental Hypotherapy Association. Attend the EFT Summit (at no charge!) and learn Emotional Freedom Techniques from 16 of the top EFT instructors in the country! Starting on April 20, you will be able to sit in on a virtual seminar room to learn more about a technique that has shown to be a quick and simple method of releasing the negative blocks in your life.